Herndon, VA – April 5, 2017 – EdgeConneX®, specializing in global data center solutions at the edge of the network, today announces its partnership with the Salt Lake Internet eXchange (SLIX), offering connectivity solutions via their Edge Data Center® (EDC) in Salt Lake City, UT. Owned and operated by XMission, SLIX is the only Internet exchange in Salt Lake City with 10-plus unique networks connected with available peering for local EdgeConneX customers, including wireless carriers, service providers, content delivery networks (CDNs), cloud providers and enterprises. EdgeConneX will now be brought on-net connecting it with three other regional facilities in Salt Lake City. 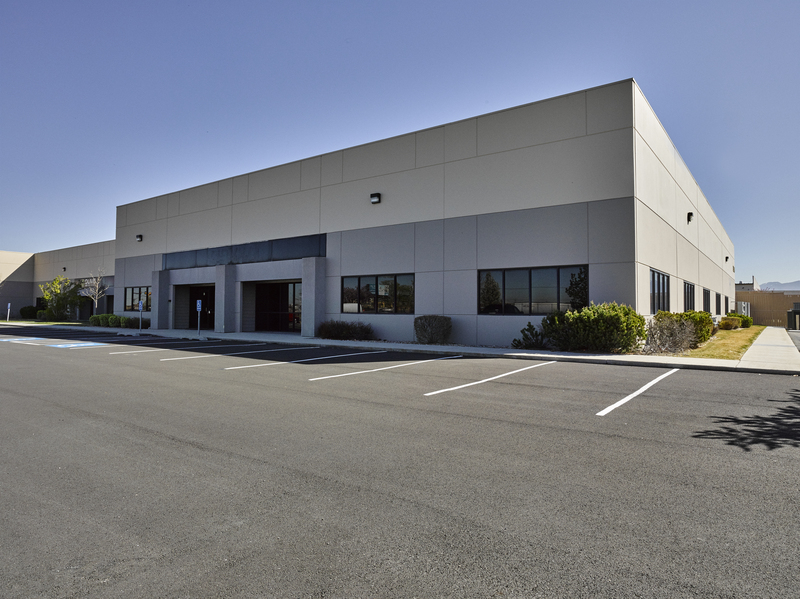 EdgeConneX, offering high-density power in a highly redundant, reliable and climate-controlled 14,230 square-foot facility, delivers up to 20KW per cabinet, N+1 design and provides tenants with the most efficient placement of their content and applications. EdgeConneX has arrangements with multiple carriers for dark and lit fiber, as well as for out-of-band (OOB) signaling and dedicated internet access (DIA) at the SLIX. The current list of carriers includes AT&T, CenturyLink, Comcast Business, Integra, Utopia, Verizon, XMission and Zayo. EdgeConneX extends the most direct route with reduced latency and cost for customers that need connectivity. Together with XMission, they offer customers future scalability and a secure colocation facility with 24x7 visibility into their space, power and connectivity resources to maintain a high-quality end user experience. "SLIX and XMission are pleased to partner with EdgeConneX to expand provider peering and connectivity in the Salt Lake City area. We believe that low latency is of equal importance as bandwidth size and direct peering is the best way to facilitate that," adds Pete Ashdown, president and founder, XMission. XMission is one of the oldest and most experienced Internet service companies in the United States, and Utah’s leading independent Internet service provider (ISP). Headquartered in Salt Lake City, XMission provides high-speed Internet connectivity, email, web hosting, digital phone services, and colocation services to residents and businesses. XMission also proudly supports nonprofit organizations by providing free web hosting services, in-kind donations, and sponsoring community-based events and facilities, including the Salt Lake Science and Engineering Fair, the Utah Arts Festival, and the Twilight Concert Series. 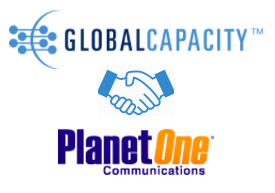 Waltham, MA, USA, April 5, 2017 — Global Capacity, the leading connectivity as a service company, today announced that it has been selected by PlanetOne Communications, the IT and telecom industry’s preferred connectivity partner, as a Preferred Provider. Members of PlanetOne’s Preferred Provider program rank among the industry’s top providers of cloud and connectivity solutions. Through this new alliance, PlanetOne channel partners can now market and sell Global Capacity’s full suite of products and services including Ethernet, Internet, Private Line and Hybrid WAN solutions to their enterprise customers. Hybrid networks are the new normal for Enterprise WANs, but they bring with them new challenges. Identifying, contracting and managing services across multiple suppliers and product offerings is complex, fragmented and inefficient. Global Capacity eliminates the complexity and inefficiency of the network market with its award-winning marketplace of networks, One Marketplace™. One Marketplace’s unique combination of interconnected access networks and software defined service orchestration provides the ubiquitous reach, flexible network options and reliable connectivity solutions needed to modernize Enterprise WAN connectivity. When channel partners engage with Global Capacity they are able to streamline the entire network connectivity buying process from design, pricing, ordering and delivery through ongoing service and business management. Channel partners can also quickly and easily obtain the most cost-effective and efficient connectivity solutions across the metro, country or globally, ensuring their customers a winning solution. Global Capacity will be exhibiting at the 2017 Channel Partners Conference & Expo, taking place April 10-13 in Las Vegas. Meet with the Global Capacity team at booth #238 to discuss competitive network connectivity solutions and new revenue growth opportunities. Mobile, AL, April 4, 2017 – Connected2Fiber, the leading Software-as-a-Service (SaaS) market acceleration platform for connectivity companies, announces today that Southern Light has signed an agreement to implement The Connected World SaaS platform. Southern Light has also adopted the Building List Manager, an automated software module for creating and distributing on-net and near-net building lists to drive wholesale and channel market participation, as well as the Building Intelligence market visibility module. Southern Light, which operates more than 6,000 miles of fiber optic networks in the Southeast, provides fiber optic services to area businesses, nonprofits, financial institutions and government entities. The Connected World is the connectivity industry’s first market acceleration platform built to help network operators see and manage their assets with market intelligence. The SaaS platform enables on-net and near-net location management, route tracking, interconnection and building list automation, all in a visual, automated toolset designed for the connectivity industry. Milan, Italy, April 4, 2017 – Enter, a leader in network and cloud services based in Italy, today announces a collaboration with Megaport (USA) Inc, a subsidiary of Megaport Limited (ASX: MP1) ("Megaport"), the global leader in Software Defined Networking (SDN), that enables near-instant, readily-available access to its Enter Cloud Suite (ECS) and services ecosystem through Megaport’s global elastic interconnection network. Enterprise and carrier customers connected to the Megaport network in Amsterdam as well as any other Megaport-enabled locations can now directly connect to Enter’s innovative cloud platform and tap into Megaport’s global footprint. 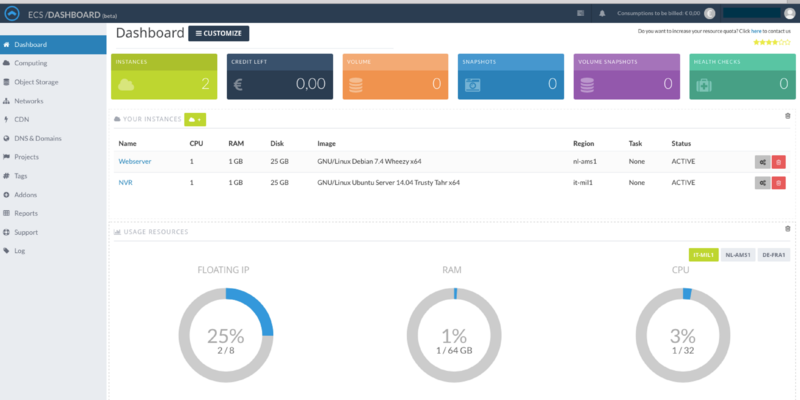 In 2012, the company developed Enter Cloud Suite, the first European, OpenStack-based cloud IaaS service. Enter Cloud Suite is available in Milan, Frankfurt and Amsterdam, and is one of the official cloud platforms of 52 European institutions and agencies, such as the European Parliament and Court of Justice. To learn more about the company, please visit: www.enter.eu and www.entercloudsuite.com. Megaport has been built by a highly experienced team with extensive knowledge in building large-scale global carrier networks and cloud connectivity. Megaport connects over 620 customers throughout its 150 locations in 37 cities across 19 countries. Megaport is an Amazon AWS Technology Partner, Microsoft Azure ExpressRoute Partner, and Google Cloud Interconnect Partner. To learn more about Megaport, please visit megaport.com. DALLAS, TX, April 4, 2017 — Infomart Data Centers, a national wholesale data center provider, announces today that it has received a 2016 infoTECH Spotlight Data Center Excellence Award for its Direct Access (DA) power service from TMC, a global, integrated media company. Infomart Data Centers collaborates with customers, vendors and partners to create some of the most sustainable IT operations in the world. Direct Access (DA) power plays a key factor in its ability to do so, providing the company with the freedom to make its own energy mix decisions. While still remaining power distribution service customers of local utilities, Infomart buys power on the open market, directly from the same suppliers that sell to these utilities. This enables the company to utilize a custom energy-mix based on specific property and customer requirements. As a result of its DA power purchase, Infomart is also able to offer customers some of the lowest data center power rates compared to others in these respective cities. The 2016 Data Center Excellence Award recognizes the most innovative and enterprising data center vendors who offer infrastructure or software, servers or cooling systems, cabling or management applications.